NEW YORK - The United Nations General Assembly last week adopted a resolution underlining the need to end the economic, commercial and financial embargo imposed by the United States against Cuba. In the resolution, the Assembly reiterated its call to all UN Member States to refrain from promulgating and applying laws and measures not conforming with their obligations under the UN Charter and international law, which reaffirm freedom of trade and navigation. The Assembly “once again urges States that have and continue to apply such laws and measures to take the necessary steps to repeal or invalidate them as soon as possible,” the resolution added. 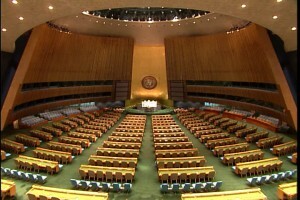 The resolution enjoyed favorable votes from 191 of the 193 UN Member States. The United States and Israel opposed the text. Last year, these two countries, for the first time in the 25-year history of the annual review of the issue, abstained in the vote rather than rejecting the text.